When you want new and beautiful exterior doors that will protect your home for years to come, you can turn to the home improvement company that has been trusted by hundreds of MN homeowners for over 30 years—Madison Products Inc. We have been serving homeowners around Gilbert, MN, Virginia, Eveleth, and the surrounding areas since 1983, and we have built a solid reputation by installing top-quality exterior doors that are truly second to none in the industry. Our installers are highly skilled and equipped to do the job right the first time. At Madison Products Inc, we only want what’s best for you and that’s why we partner with some of the leading names in the industry. One particular brand we trust for our door installation in Gilbert MN, is Waudena Millwork™. We offer topnotch Waudena Millwork steel and fiberglass exterior doors that come in a wide array of colors, styles, and textures. Durability – doors are made from high-quality materials (fiberglass and 22-gauge steel), reinforcing their overall strength and protection against the elements. Aesthetics – fiberglass doors replicate the look and feel of real wood doors, while steel doors have sleek designs that complement modern structures. Energy Efficiency – certified by ENERGY STAR® that offer maximum energy efficiency for your utmost comfort. If you’re not confident about choosing a door that suits your architectural design, don’t fret. You can use the Waudena Millwork Door Visualizer to get a glimpse of your new door on your home before actually installing it! This innovative tool allows homeowners to upload a photo of their home or choose a photo from the gallery that closely resembles their architecture. From there, they will be able to pick out several door choices and see if they complement their home’s design. The tool also allows them to customize their layout with siding, trim, roofing, and stone options for a more comprehensive output. 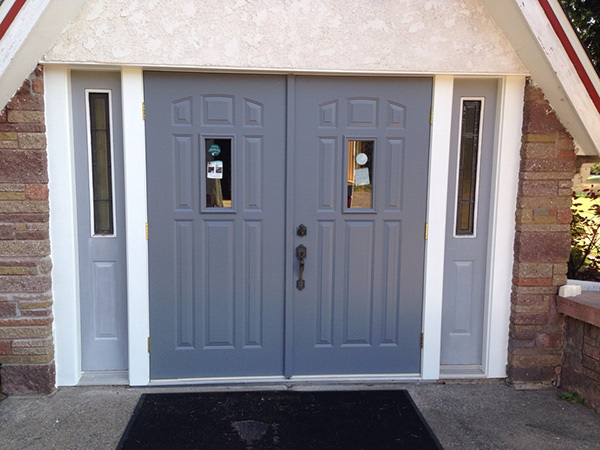 If you want us to install new exterior doors, boxed doors and storm doors, get in touch with us today. You can call us at (218) 865-4577 or complete our request form to get started. We look forward to hearing from you!